American Jews, who are the real target of the BDS movement, need to speak up. Delegitimizing BDS is far from mission impossible. In pursuit of openly political ends, some professors risk destroying the principles and safeguards that for over a century have protected the freedom of their colleagues. The issue is not whether BDS should be vigorously opposed. That is a given. But just as one would not use a machine gun to combat a fly, the effort against BDS should be proportionate to the actual threat. The overreaction to BDS has resulted in a victory of sorts for Israel-haters when in fact there is none. BDS is losing, but the Jewish community acts as if BDS is winning. If so-called pro-Palestinian activists truly want to help the Palestinians, then they should demand freedom, human rights, democracy, and justice for the Palestinians. [I]t might be time to stop tracking success or failure of the BDS “movement” (or Israel’s standing among the young) based on what a handful of Student Senators say or do. BDS has failed to turn Israel into a pariah state. [University] faculty and students have campaigned to boycott China and India over the status of Tibet and Kashmir, to reject Chinese and Indian funding, and to shun collaboration with individual Chinese and Indian researchers. There have been organized assaults upon Chinese guest speakers and propaganda campaigns inciting students to purge universities of Chinese or Indian “influence,” including that of American citizens with a Chinese or Indian background. When students of Indian background object, they are informed that, wittingly or not, they are part of a global Hindu conspiracy. BDS constitutes the modern version of the old blood libel. [It]is focused on national character assassination that is aimed to set the ground for the annihilation of Israel. It is time that the marketplace of ideas forthrightly reject such discriminatory, racist and despicable ideas. To a large extent BDS in the US is a Muslim Brotherhood project, […] a global Palestinian ‘movement’ in which there are few Palestinians. To deny artists from any country their place on stage in order to advance a political agenda is censorship. Placing obstacles in front of artists that discourage or inhibit their legitimate right to perform based on their nationality is discrimination, and creates a chilling effect on freedom of artistic expression for all. When I see BDSers looking past all of the stoning, beheading and honor killings in the Middle East and accusing Israel of human rights abuses, I know they have fabricated a cause to justify their bigotry. I know their hatred is derived from a medieval contagion that spreads right back to the community that gave me the beliefs and values that are the essence of who I am today. Combating BDS with the blunt instrument of state power [legislation and government regulation] will inevitably create enemies for Israel where heretofore they did not exist. Activists from US coast to coast robotically parrot the same lies, employ the same tactics of bullying, intimidating and silencing pro-Israel activists and speakers on campus after campus. Disguising herself as a fervent and devoted BDS supporter, Adi Cohen participated in rallies, speeches and panels during Israel Apartheid Week and discovered their recruitment methods and how they silence their opposition. 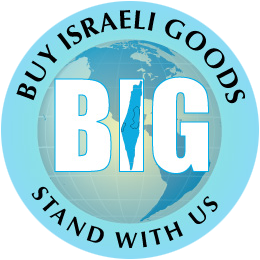 The anti-Semitic campaign to shun Israeli goods embodies the radicalism that threatens everyone. Those that believe this is just an issue for Israel or the Jewish community are sorely mistaken. These developments endanger the future of America. [….] The Jewish people have come to learn that when we are targeted with economic sanctions, much more dangerous things are often on the horizon – and the consequences often extend well beyond our community. If we want to beat BDS, we must expose them as the useless hateful idiots they really are. What we should be doing is humiliating these people with the evidence of their hypocrisy and ignorance at every opportunity. BDS tables should be countered with humorous tables offering “Deposit your cell phone here to boycott Israel.” [….] After all, what is more ridiculous and pathetic than a bitter Jew-hater who can’t survive without Jewish technology? It may seem that B.D.S. is on an stoppable upswing. Yet, behind the scenes a countermovement is growing. And, hopefully, the global need for a free exchange of knowledge and scientific development will undercut this modern hate campaign. For Hamas, this is not just about boycotting or imposing sanctions against Israel. Rather, it is about delegitimizing and isolating Israel, and turning it into a rogue state that has no right to exist. [….] BDS seems to be more about hating Israel than helping the Palestinians. And BDS seems to be more about promoting Hamas’s agenda than advancing the cause of peace in this part of the world. Anti-Semitism is not a static phenomenon. It is a virus that mutates, thereby defeating the immune system of free societies. During the Middle Ages, Jews were hated for their religion. In the 19th and early 20th centuries, they were hated for their race. Today they are hated for their nation state. For a thousand years they were the most conspicuous non-Christian presence in a Christian Europe. Today the State of Israel is the most obvious non-Islamic state in a largely Muslim Middle East. Anti-Semitism is not simply about Jews. It is an offense against the fundamental dignity of difference. Observers who have followed the ongoing delegitimization campaign against Israel may have noticed that these BDS calls are not meant merely to pressure Israel toward a two-state solution. Instead, BDS is being used as a platform to advocate ending Israel’s existence as the nation-state of the Jewish people. As such, the BDS movement’s objectives parallel Hamas’ war goals. 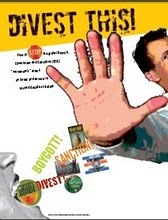 The movement to boycott, divest and sanction Israel isn’t selling. As a strong supporter of the two state solution and a critic of Israel’s settlement policies, I am particularly appalled at efforts to impose divestment, boycotts and sanctions against Israel, and Israel alone, because BDS makes it more difficult to achieve a peaceful resolution of the Mid-East conflict that requires compromise on all sides. The BDS movement is highly immoral, threatens the peace process and discourages the Palestinians from agreeing to any reasonable peace offer. Let us be very clear: the BDS campaign does not serve the cause of peace between Israel and the Palestinians. Those that support BDS are not “pro-Palestinian.” The movement does not help Palestinians in any significant way; it only hurts them. In all, the BDS movement is nothing but a hypocritical movement that aims to destroy the State of Israel via economic warfare. BDS will not solve the conflict—it will only prevent peace. Pro-Palestinian groups hijacked the narrative of peace, justice, and human rights, while in reality they yearn for Israel’s destruction. Every time I hear about a new guest at the “boo Israel” party, I can’t help but wonder what they are trying to achieve, and why they don’t even bother checking the facts. [….] So, boycotters, please stop doing what you’re doing. You are not taking the high road. It is the road of twisted lies and a struggle for nothing. Check the facts, then agree or disagree, but don’t hate for nothing and don’t fall for lies. This is not what peace is made of. the main victims of this boycott are not Israelis, but Palestinians. Israel’s economy is booming, while Palestinians languish in abject poverty. 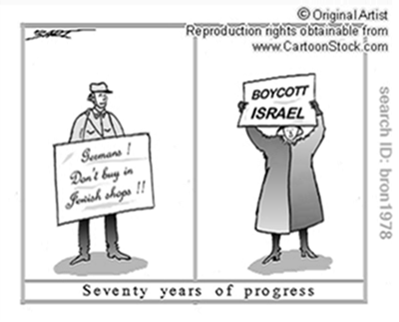 The decades-long Arab boycott has failed miserably. Battered by Boycotts by Julie Wiener, The Jewish Week (New York), October 13, 2010: What happens when a 7-year old’s Israel-themed birthday party becomes a political debate?